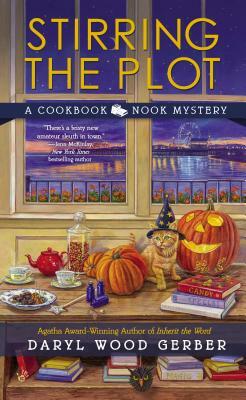 Jenna Hart has packed The Cookbook Nook chock-full of everything from ghostly texts to witchy potions in anticipation of the annual fund-raiser luncheon. But there’s one unexpected addition to the menu: murder. Daryl Wood Gerber is an Agatha Award–winning author who writes the Cheese Shop Mysteries under the pseudonym Avery Aames. Like her protagonist, Daryl is an admitted foodie and an avid reader of books, including cookbooks. Prior to writing, Daryl acted on stage and television, including on Murder, She Wrote.